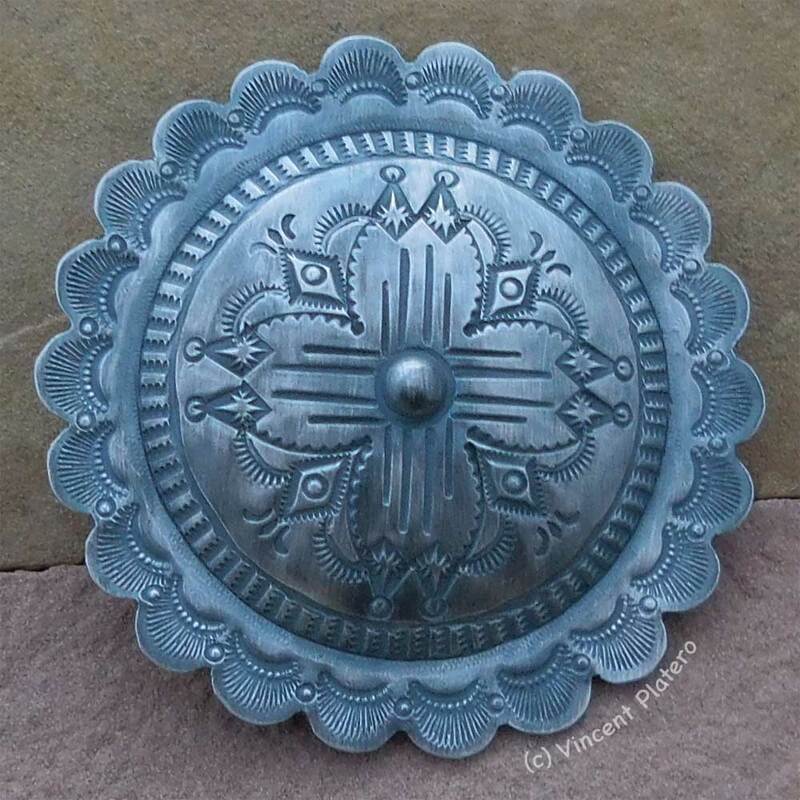 Native Silversmith, Vincent Platero, created this stunning silver concho belt buckle. Using his stamping tools and an amazing creative mind, Vincent put them together to make this very detailed symmetrical piece with powerful Native American symbology. It’s a beauty! Born in 1957, Navajo silversmith Vincent J. Platero learned to smith silver from his mother, Helen Chavez, and various other family members. He is, perhaps, best known for his sampler concha belts, though he makes a variety of products. … His work can be found in fine galleries in Albuquerque and Santa Fe. Vince Platero creates intricate hand-stamped sterling silver bracelets, pendants and rings, most often in heart and butterfly shapes. Platero’s jewelry exhibits an austere simplicity—no stones crowd or detract from the stamped pattern. View many of Vincent’s pieces available at ChacoDog.com. Today’s mandala demonstrates for us the beauty of simplicity. With just a piece of silver, some stamping tools, and a love of his craft, Vincent created an exquisite piece of art. In all things: Keep it Simple, Sweetie!